This luxury family friendly beachfront resort has something to offer for everyone no matter what age. The property is located in Cozumel and just 19 kilometres from the Cozumel Airport and 17 kilometres from the city. 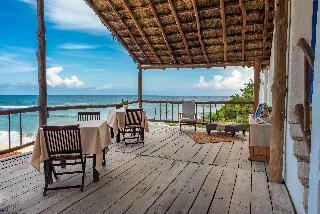 All the rooms are bungalow styled with a bright tropical décor with private patios and hammock. Some of the room amenities include daily minibar service, complimentary Wi-Fi, air conditioning and plush bedding. With great attention spent every detail making your stay as comfortable and care free as possible. The property includes multiple restaurants with both a la carte and buffet options. From classical Mexican delights to international cuisine from around the world. Get a light snack along with a cool refreshing cocktail from one of the many bars and lounges spread throughout the property available day and night for your pleasure. The resort offers many activities for all ages including Star Camp for the children with organized recreation based on age range, with over 140 fun filled experiences to educate and make new friends. The hotel offers many sports and activities including snorkelling, windsurfing and kayaking. There is also a gym and tennis courts available along with nightly shows and entertainment. The spa is available with many treatment options to relax and rejuvenate your body, mind and spirit. 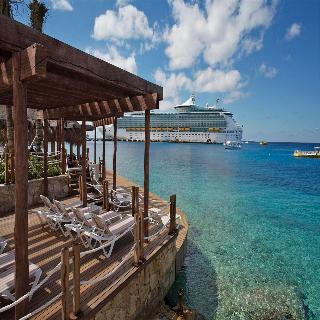 Enjoy your magical vacation in beautiful Cozumel Mexico. 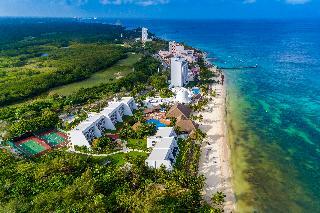 The elegant and luxurious Grand Park Royal Cozumel All Inclusive is excellently situated frontline to a wonderful private beach with a secluded beach club, accessible only from the lovely tropical garden. It features fantastic infinity pools and an unlimited range of amenities and excellent services. Most of the rooms enjoy panoramic sea views; a favourite amongst guests are the modern cruise ships approaching the nearby cruise terminal. 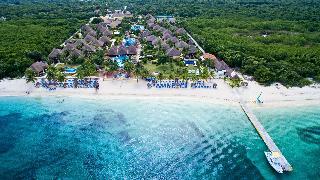 El Cozumeleño Beach Resort, ideally located on Cozumel Island, directly on the white sand beaches and facing the Caribbean Sea, just minutes north of the town of San Miguel. The location makes this property the ideal choice for vacationers seeking the finest in resort accommodations. Our guests are amazed at how large the rooms are and of the romantic sunsets they can enjoy from their room's private balcony.In addition, this elegant but cozy Hotel, puts at your disposal everything you need for your meetings and conventions, with a capacity to offer exclusive service to up to 500 people. We pride that our standard of food service and entertainment is of the highest quality. The unbelievable sea views, the exclusive traditional interiors and the location, just 10 metres from the breaking waves, all merge to make this eco-friendly property less of an accommodation facility are more of the birth place of unforgettable memories. Surrounded by this beauty and peace, guests are not likely to need either TV or Internet access, but both are available nonetheless. A swim in the on-site pool, a dip in the waters of the ocean, a cocktail on the shady terrace or a trip to the nearby village for a delicious dinner in one of the local restaurants – whatever vacationers do, it is sure to leave a lasting impression. 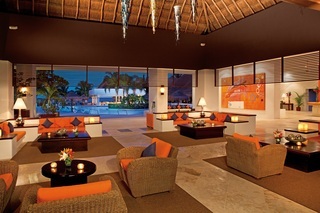 The Melia Cozumel Golf All Inclusive is a magnificent beachfront resort situated on the northwest of Cozumel. It enjoys a bright location right beside the local white sandy beach and is close to the premier golf course designed by the Nicklaus Design Group. The centre of San Miguel is situated at around 5.8 km away. Guests will discover this is the best choice for scuba, snorkelling, fun and exciting family activities; Kids will love the Flinstone area. The hotel provides modern amenities and commitment to excellent personalized service. Because of its location, HOTEL PLAZA COZUMEL has an excellent panoramic view of the Channel Island and Cozumel, a beautiful natural environment that serves as a gateway for national and foreign visitors on business or visiting this beautiful island for relaxation purposes. Our hotel has easy access from anywhere on the island. because we are in the tourist and commercial heart of a passage from the Main Plaza, steps away from the museum of the island and in front of cozumel's main pier. We offer comfortable rooms at great prices and our swimming pool on the roof of our building makes HOTEL PLAZA COZUMEL the ideal place to stay when you visit Cozumel. The hotel is located in the town centre, a short distance from the main square and only half a block from the port.This small and cosy hotel was inspired by local colonial-style architecture and is surrounded by a lush garden, filled with exotic flowers and tropical plants. It comprises a total of 11 accommodation units. Facilities on offer include 24-hour reception, a hotel safe, a cloakroom, WLAN Internet access, cycle hire and parking for those arriving by car.Decorated with authentic Mexican carved wooden furniture, all rooms come with a fully equipped kitchen with a stove, oven, refrigerator, microwave, coffee maker, purified water and cooking utensils. There is also an en-suite bathroom, a hairdryer, a satellite/cable television, an iron and ironing board, a double bed, a safe and a terrace. The air conditioning is individually adjustable.A continental breakfast is served each morning. 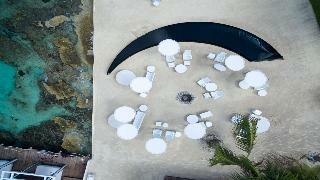 This upscale beach front resort is the perfect choice to spend a relaxing and memorable holiday in a unique paradise setting. Located on the beautiful island of Cozumel, this complex has everything to entertain adults and children alike and ensure unlimited fun. Comfortable, tastefully decorated rooms await guests to relax after a long day and enjoy a unique stay with excellent facilities and picturesque views of tropical gardens, pools or the stunning Caribbean Sea. From Mexican and Italian specialities to delicious International cuisine, travellers may indulge their senses with a varied culinary assortment, where everyone will find something to their liking. While kids make fun at the supervised explorer's club, adults may enjoy a relaxing moment at the spa, situated next door and offering a huge variety of treatments and a complete hydrotherapy circuit. Other activities include non motorize water sports, and nightly entertainment. This stylish hotel is located in the Southwest area of Cozumel Island, near the San Francisco beach. A mere 45 minutes by ferry from Playa del Carmen, and the Tulum corridor. 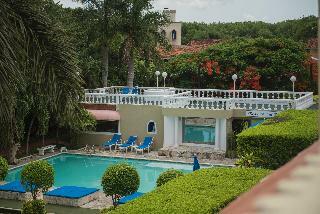 This hotel is also a mere 20 minutes' driving distance from the Cozumel airport and the famous city of San Miguel. The Palancar reef is only five minutes' journey away via boat, allowing for guests to see the vivid and spectacular side of life under the sea. This premier resort island is surrounded by the colourful azure seas of San Francisco beach, bursting with an astonishing diversity of underwater life. Hotel rooms include suites, studios and Polynesian style bungalows. Guests will feel as though they are at peace with nature, enthralled by its beauty and vivaciousness. Numerous activities including volleyball, ping pong, snorkelling and water-polo. This hotel has four restaurants, with themed cuisine nights to ensure variety. With breathtaking views of the Caribbean Sea and its crystalline water, InterContinental Presidente Cozumel Resort Spa is an intimate, elegant destination on the beautiful island of Cozumel. Set on half a mile of white sandy beach, you can swim, snorkel or scuba dive the clear waters of the world's second-largest coral reef, where indigenous colorful fish abound. If relaxation is your aim, enjoy two outdoor pools, experience signature spa treatments in oceanfront huts or savor the menu and beach views at El Cabeno open-air.